Havasu Falls is constantly rated as one of the most beautiful hikes in America. Unfortunately, as a result, it is often one of the hardest hikes to get permits for. If I happen to get permits this year for a two-night stay, this is post will contain all the information for the hike I plan to do. The trailhead can be found on Google Maps here. 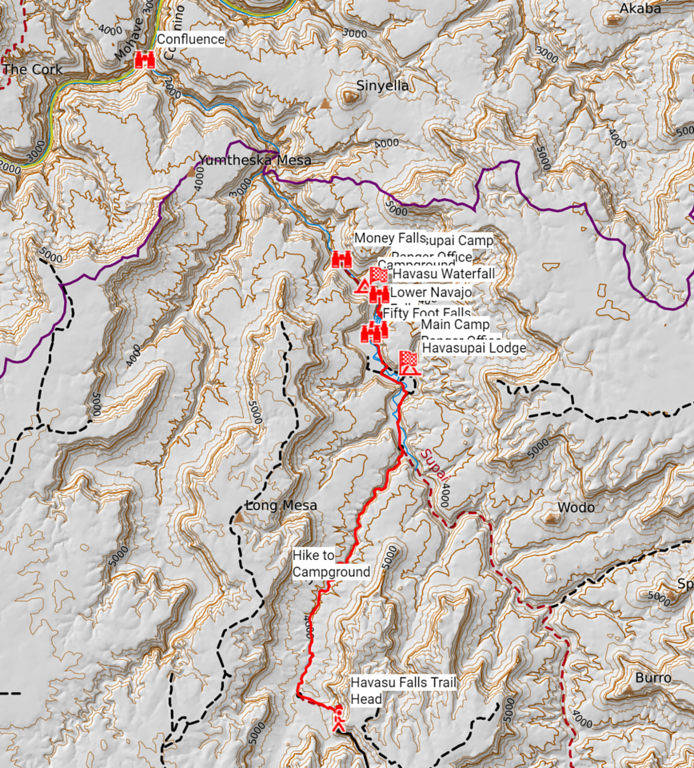 I also have a detailed map of the entire hike with the sites you should check out built on Caltopo. 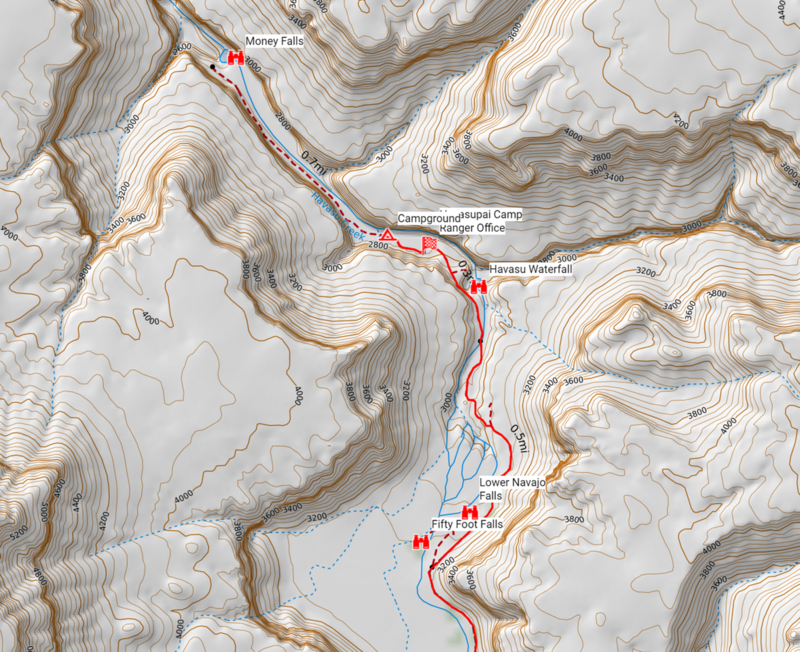 You can view and download the interactive map on Caltopo here. As you can see from the terrain profile its an all downhill hike into the Havasupai reservation, but as with gravity what goes up must go down....while hiking what hikes down must hike back up... So prepare for a nice grueling roughly ten-mile hike all uphill in the heat on your way out. Ideally, I would like to spend at least two days down in the Havasupai Reservation in order to spend one day exploring the waterfalls and the next day hiking down to the confluence to see the blue water from the Havasu Creek meet the brown water of the Colorado River. 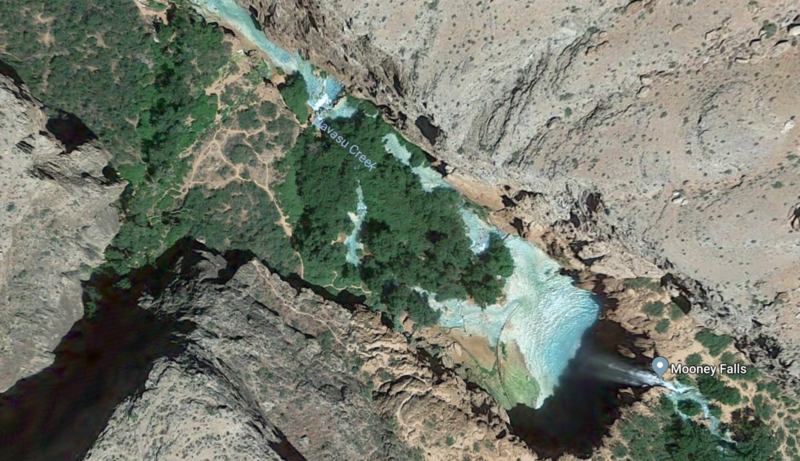 On Google Maps Satellite View, it does look like there is a trail down toward Mooney falls and it looks like it also may continue down toward the confluence. If you have hiked Havasu Falls before and have experience hiking past Mooney Falls toward the confluence, please share what the trail situation is like down there. Not sure I saw a trail from the Havasu Creek up that way just looking on Google Maps though, so he may have come in from another location. I saw some other videos on YouTube where it looks like people are actually in the canyon and swim out toward the confluence, so you may have to get pretty wet to get there. 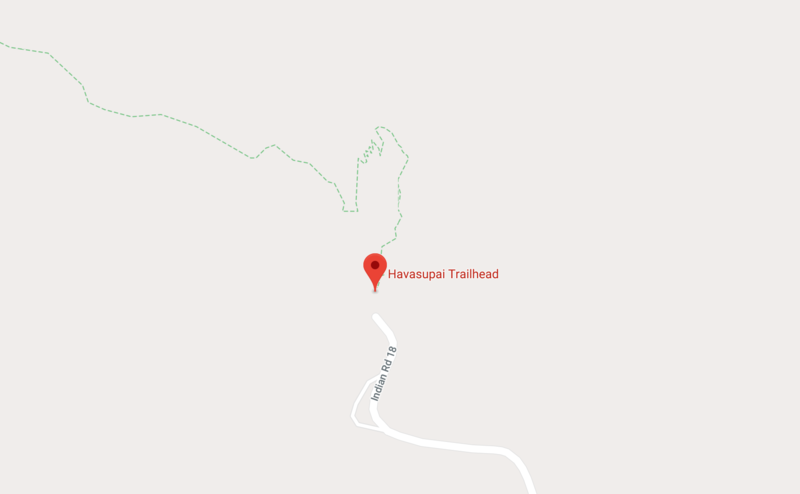 I too would like to know more information on how to get to the confluence from the Havasu Falls hike! A few notes on Havasu: Absolutely do it if you can! 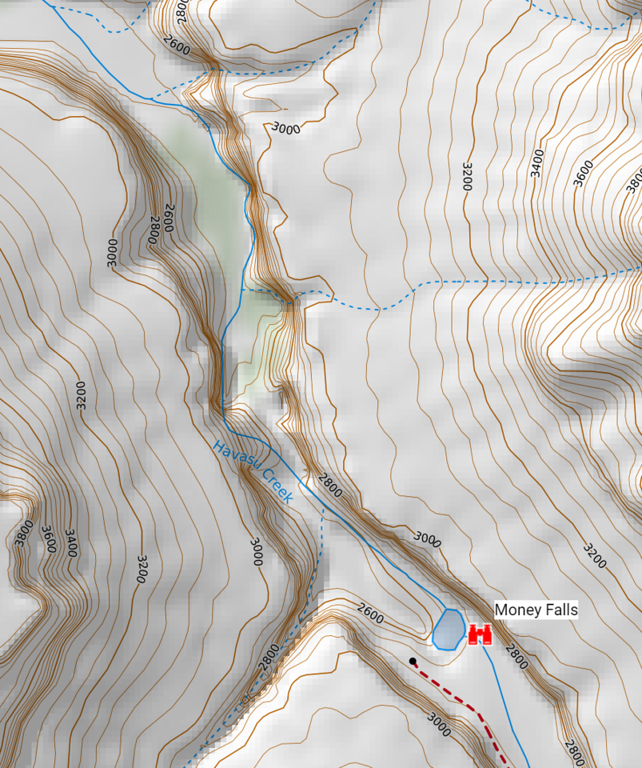 Your map is also missing Beaver falls, which is after Mooney falls. There is a "trail" that continues onto the confluence and it's a pretty good day hike. I think it isn't marked on the map is because it crosses the river many times and it's a trail that doesn't get maintained, so many people just hike wherever they can. 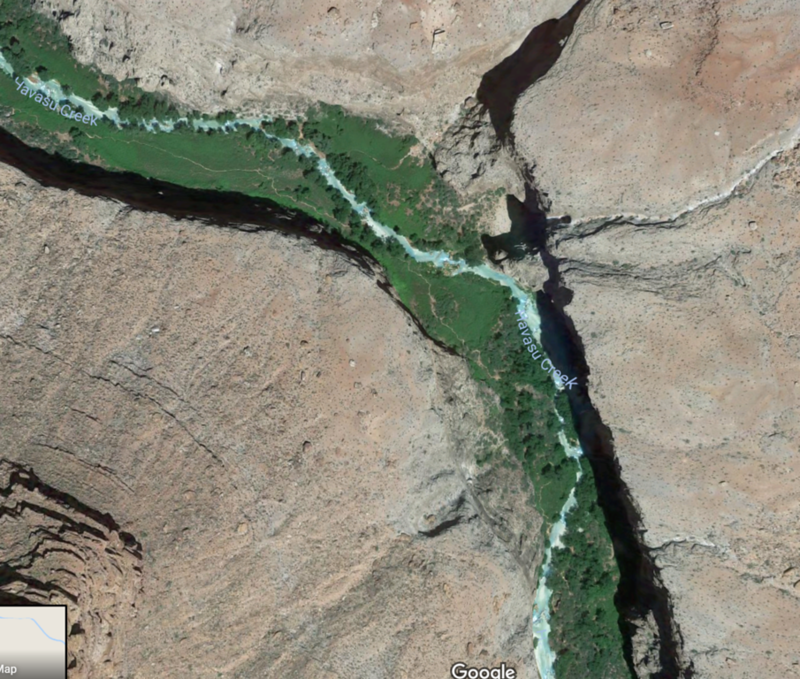 There are tour groups that will kayak/ raft to the confluence from the CO river instead of hiking through Supai. weneed_mobrown awesome, thanks for the tips! Also any tips for getting permits for Havasu? I can never get through to anyone on their phone. MikeJones Permits for that year open up on February 1st 8 AM AZ time. I used the website this year and it was SUPER handy. Trying to get through on the phones is miserable. They have about 4 number now you can call but it can be difficult on that morning. You can always call later to ask about any cancellations they've had and take those dates if you are flexible. This year it sold out completely in 24hrs, so you better be ready with your plans A-D. I got lucky and decided to refresh the page on their website when looking for my plan A dates to open up and found them so there is definitely hope. weneed_mobrown how do the campsites work? Do you reserve a specific site or is it first come first serve? I think I am going to set up a reminder on my Google home so I don't forget the date for next years registration! MikeJones They have ~200 "spaces" per day that they let people reserve. The actual number isn't really known because 1. the tribe hasn't told anyone, 2. outfitters that take groups into the canyon don't seem to affect the number of "spaces" that are open, and 3. that it's literally just camp wherever there is open ground in about a 1-mile portion of the canyon. So on Feb. 1st you pick how many nights you want to stay and that's the reservation. Most people camp at the Hilltop the night before so that they start the 8-mile hike at like 4am to get to the check-in before it gets too hot. weneed_mobrown Are there actually places to camp near the parking lot at the top of the trail? Or are people just napping in their cars? MikeJones You can either camp in your car or next to it on the rocky ground. They kind of look away at people camping at the hilltop the night before their hike because it's only for a few hours. They'd probably say something if you threw up a tent or were at the top for longer than a night.